K9 Divine Dog Grooming is an award winning dog grooming salon based in Framlingham which is a beautiful market town. 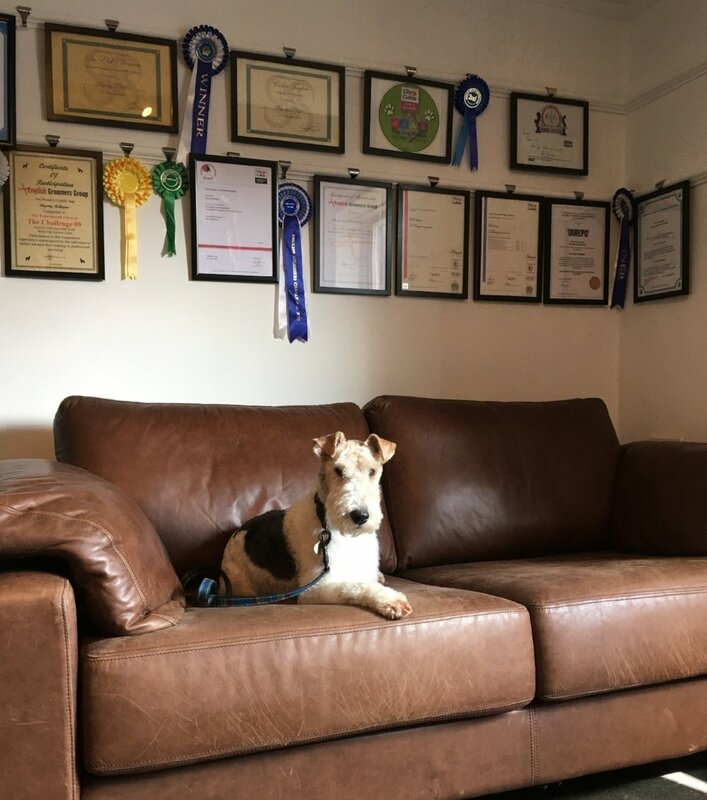 K9 Divine Dog Grooming is located in a beautiful classic grade 2 listed building, but inside you are met with a modern state of the art grooming salon which is very open planned creating a very airy and relaxing atmosphere. I welcome all breeds of dog from the teeny tiny Chihuahuas to the gentle giants. Whether hairless or extra hairy they all get a bespoke grooming treatment and are looked after with the upmost care, as if they were my own.